Colin Kirkland shares his tips for setting the Bermad 420 irrigation pressure reducing valve. Pressure reducing valves are the perfect solution for regulating downstream pressure. Colin Kirkland shares his tips for setting the valve for irrigation applications. Pressure reduction in main line pipes from pump stations. Pressure reduction in field valves from regulation to drip, sprinklers or centre pivot irrigators. The Bermad 420 pressure relief valve The Bermad model IR-420 pressure reducing valve is a hydraulically operated control valve. Its primary function is to reduce higher upstream pressure to align with a lower constant downstream pressure. 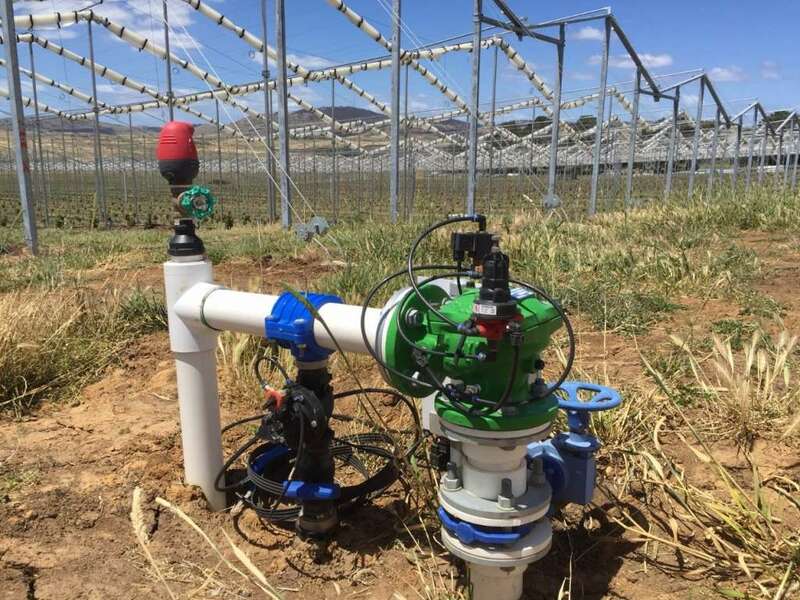 The Bermad 420 pressure reducing valve can either have two or three-way pilots fitted in order to achieve its purpose within an irrigation system. This article outlines the use of the three-way pilot control, which is often utilised in irrigation applications, such as the cherry orchard pictured below. Fully supported and balanced diaphragm. Excellent low flow regulation performance. To correctly understand how best to set the pressure relief valve, it’s important to watch a visual demonstration. Our brief video clearly showcases the step by step procedure to set the valve up correctly. If you require more information, please visit our online product page for manuals, data sheets and more. Interested in applying the Bermad 420 to your system? Contact your local Bermad sales office today.